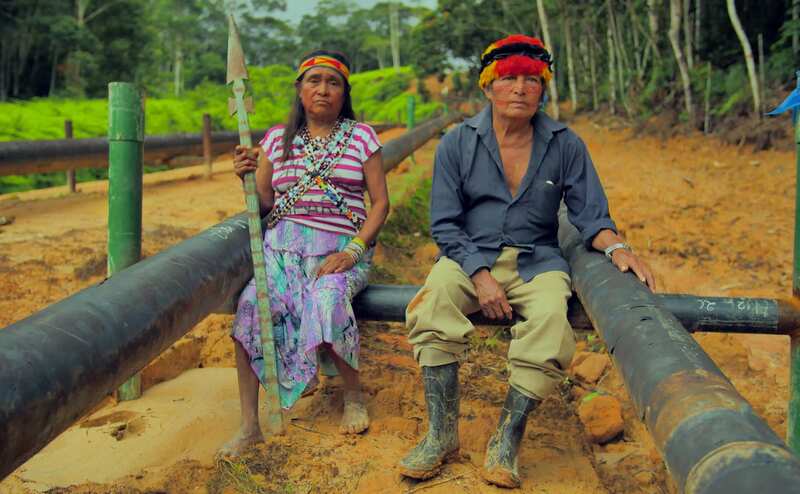 Dark secrets of poisoned waters in the remote Peruvian Amazon are revealed in this documentary political thriller when five Achuar communities take on Big Oil in US Federal Court. As he witnesses the destruction of his world, tribal leader Apu Tomas Maynas is inspired by a sacred Ayahuasca vision to wage a non-violent campaign in defense of his peoples' territory and very survival. Lot 1-AB, the ancestral rainforest-turned-oilfield, becomes the epicenter of an ongoing battle that pits fossil fuel interests against the rising voices of imperiled native peoples. Tax-deductible donations to support this film project can be made via the International Documentary Association online here. © Todos Los Pueblos Productions. All Rights Reserved.